Moorestown, NJ—March 18, 2015—As a trusted provider of document and data management solutions, MTS Software Solutions (MTS) demonstrates their commitment to providing superior products and services to the mortgage banking community by becoming a member of the Mortgage Bankers Association (MBA). The Mortgage Bankers Association is the leading association representing all segments of the real estate finance industry. By becoming members, MTS Software Solutions will be able to take advantage of research, education and events offered by the Mortgage Bankers Association. MTS will also exhibit at the MBA’s National Technology in Mortgage Banking Conference & Expo 2015 which takes place March 29 – April 1 in Orlando, Florida. MTS Software Solutions offers mortgage processing automation technology called IntellaLend. 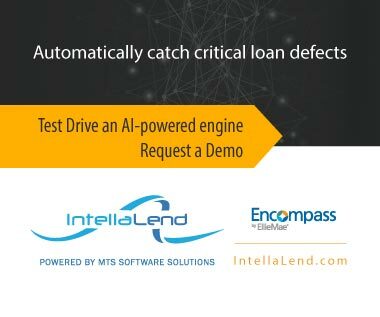 IntellaLend, combines intelligent capture, workflow automation, and analytics to minimize manual effort and maximize compliance in mortgage processing. By automating loan set-up and preparation and integrating with loan origination systems and other business applications, lenders can turn more applications in less time with fewer resources. Founded in 1981 and headquartered in Moorestown, NJ, MTS Software Solutions Inc. provides technology and services that simplify, streamline, and accelerate core business processes. With thousands of corporate, small business and institutional customers around the world, MTS Software Solutions helps organizations elevate profits and productivity through business process automation, document imaging and conversions services, business process outsourcing, and check/document scanners.